In April 2015 the subscription video streaming service Netflix began offering audio description for many of its offerings. Today, there are 500 or so such programs on Netflix, with a commitment by Netflix to audio describe every new original series they create. The specific topic on this page is their commitment to audio description for children. 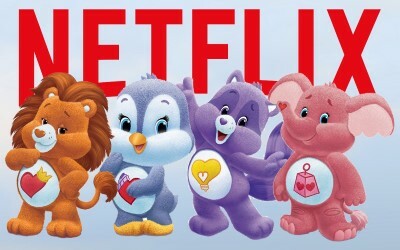 As a point of interest, more than a third of Netflix audio described shows are oriented to children under 13. The article goes on to mention that Netflix's "close competitor HBO also has moved in this space in January 2016 when new episodes of "Sesame Street" were premiered on the channel." However, HBO has not indicated any commitment yet to audio describing any of its programming. Parents seeking additional guidance on appropriate audio described offerings for their children should consult our listing of DVDs Rated G or PG With Audio Description. Our Television page will guide you to children's offerings on the Disney Channel, Nickelodeon, and The Cartoon Network*; but you'll be mostly on your own to find programming on PBS, since they refuse to list which shows they describe. You should also be aware that four television networks (ABC, CBS, NBC, and The CW*) offer audio described children's programming on Saturday mornings. You can find the specifics on our Television Schedule page, and you can read about two of the series at Litton Weekend Adventure (for ABC) and CBS Dream Team.